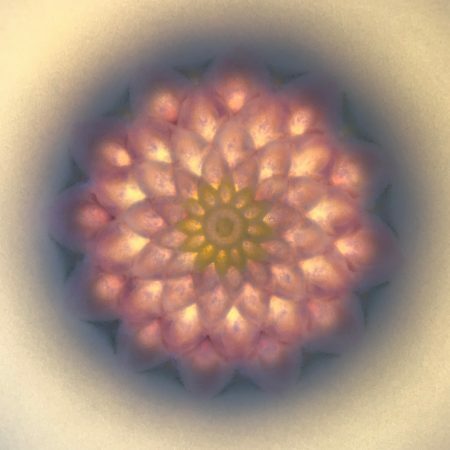 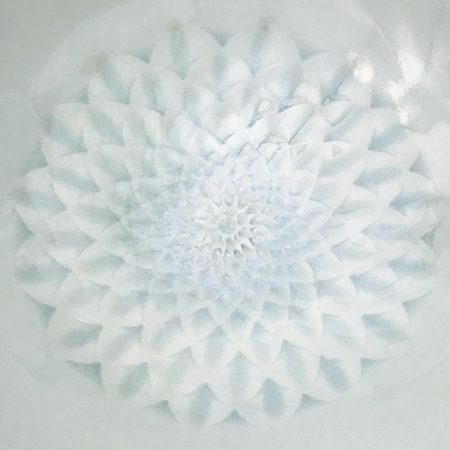 An intricate pink bas-relief dahlia floats in an elegantly waved bowl of glacier blue ice. 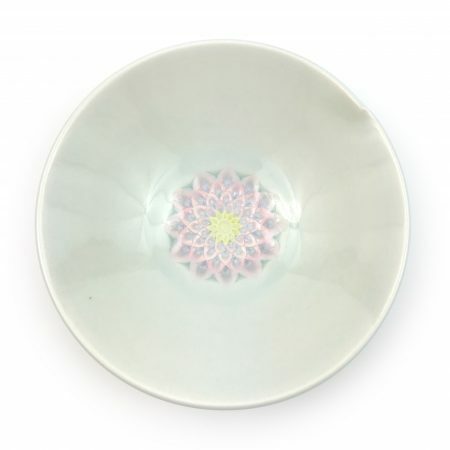 Elegant porcelain bowl featuring an intricate pink bas-relief dahlia and an elegantly waved rim. 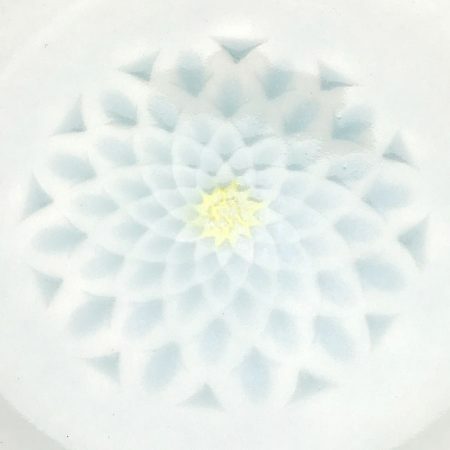 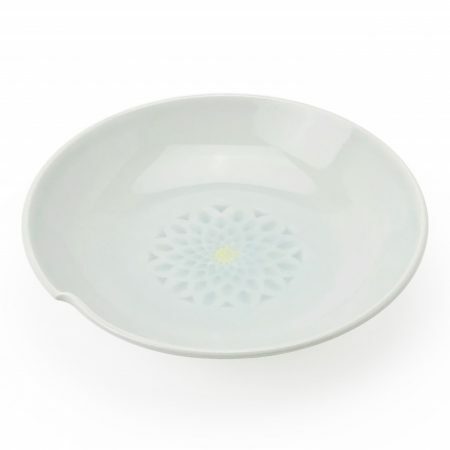 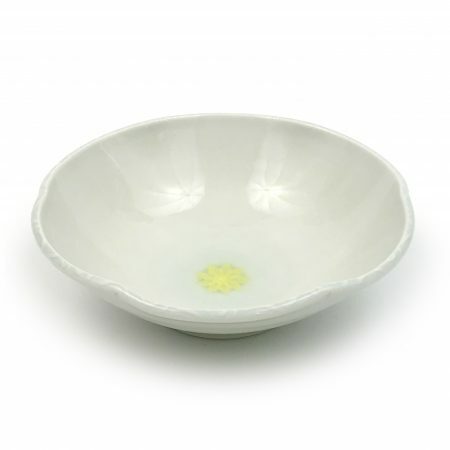 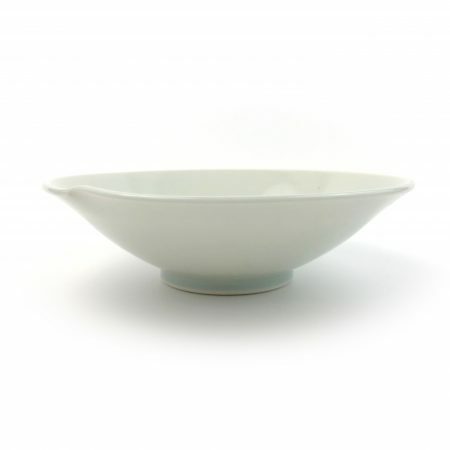 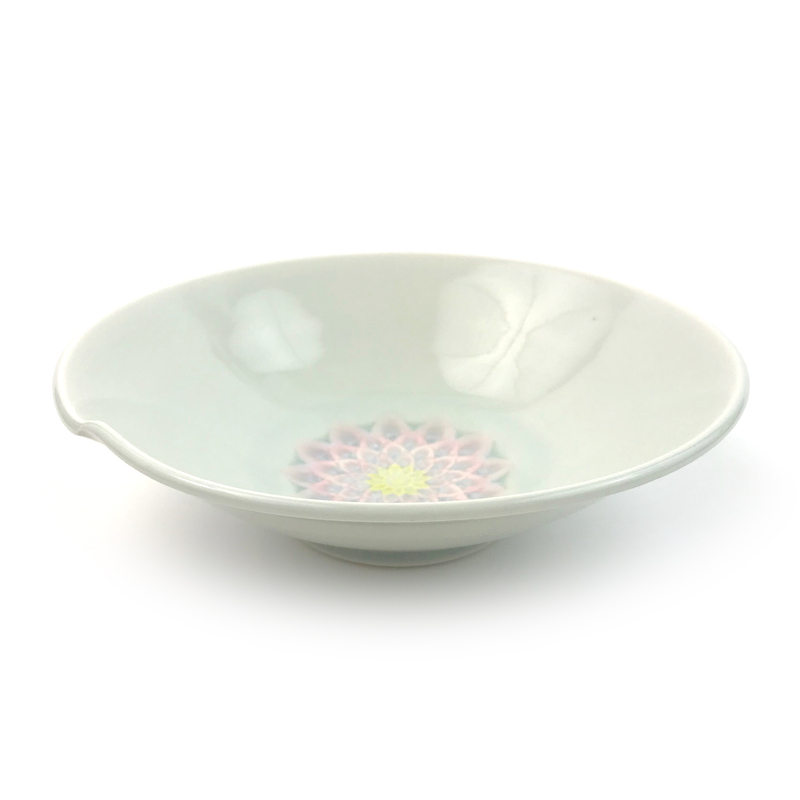 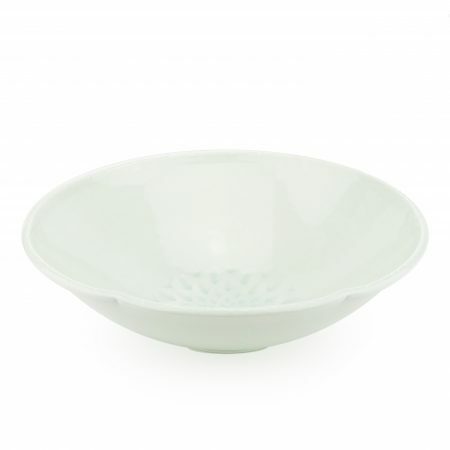 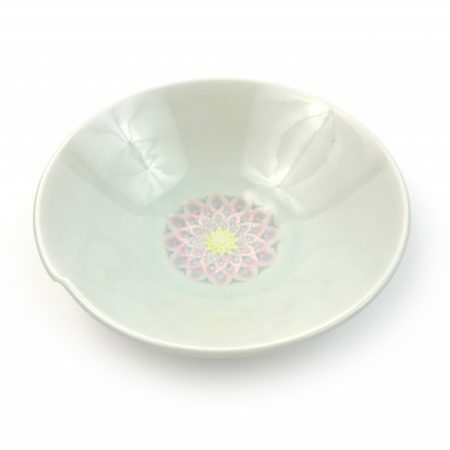 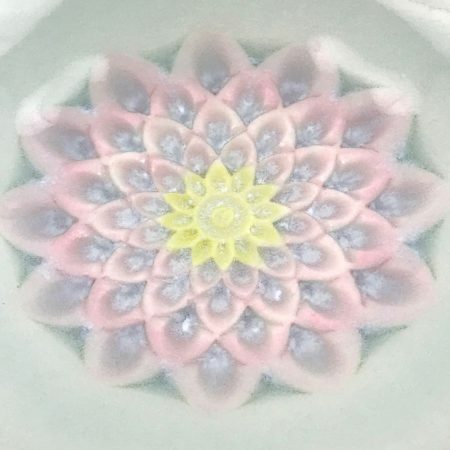 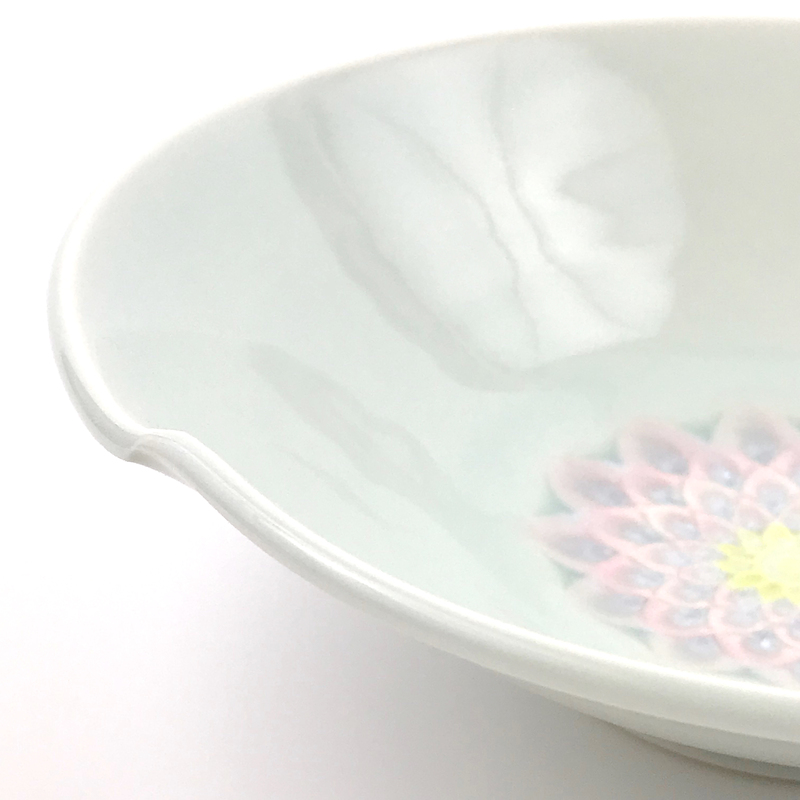 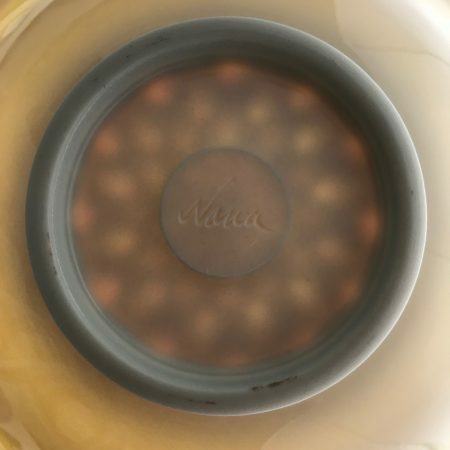 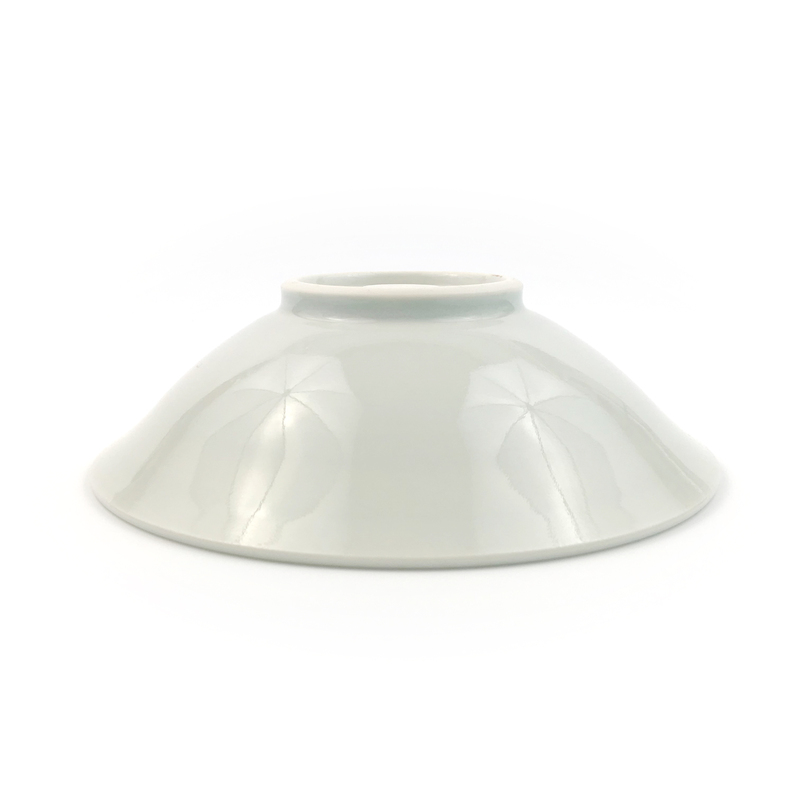 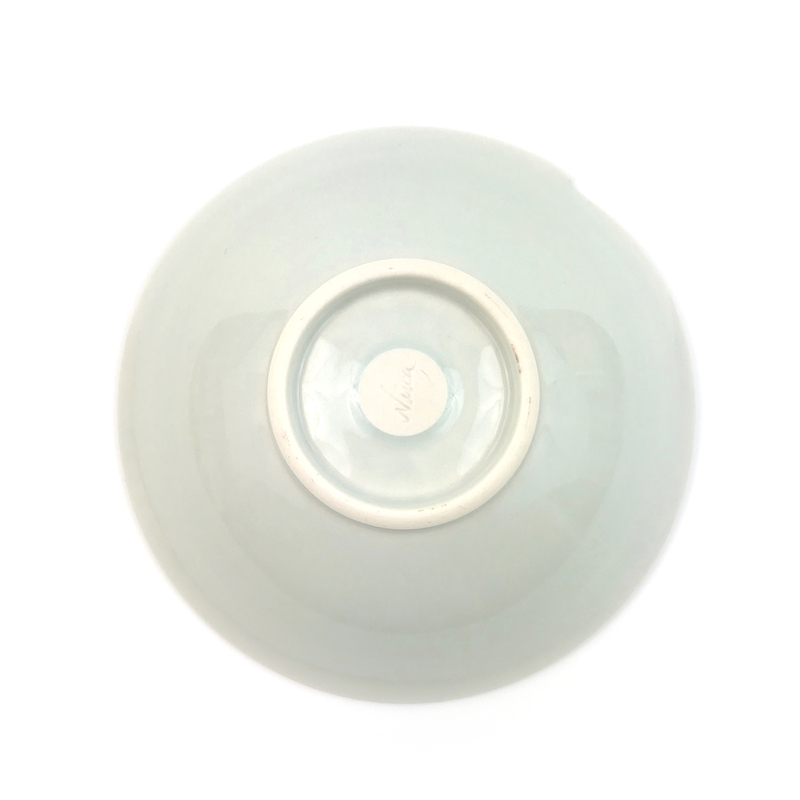 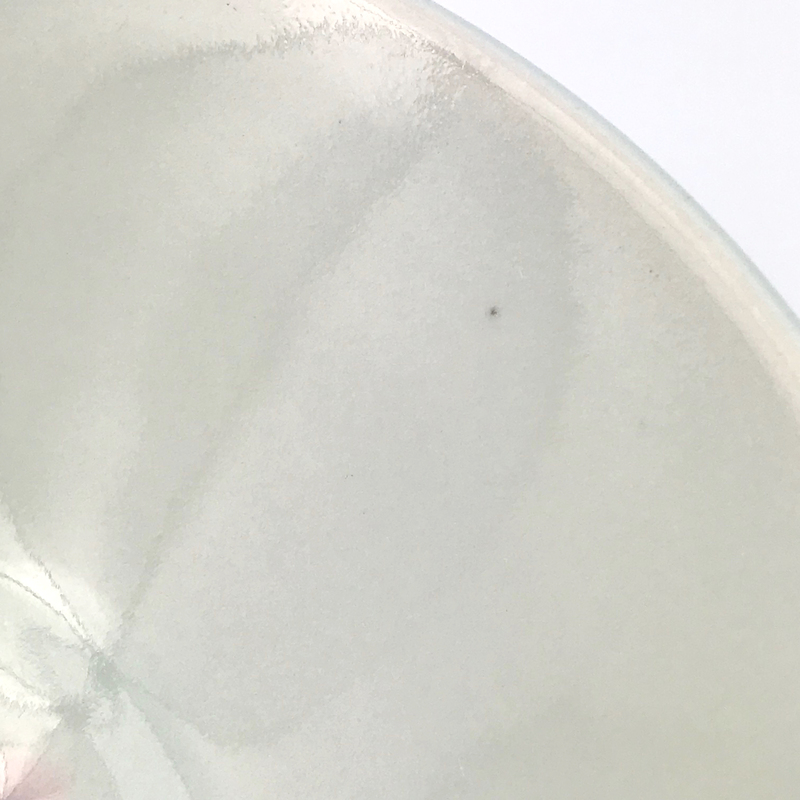 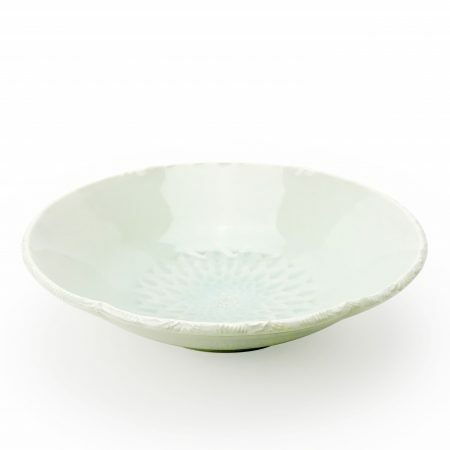 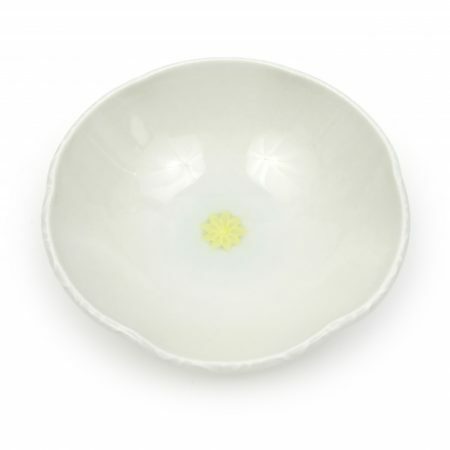 This translucent porcelain bowl will glow when held up to a bright light. 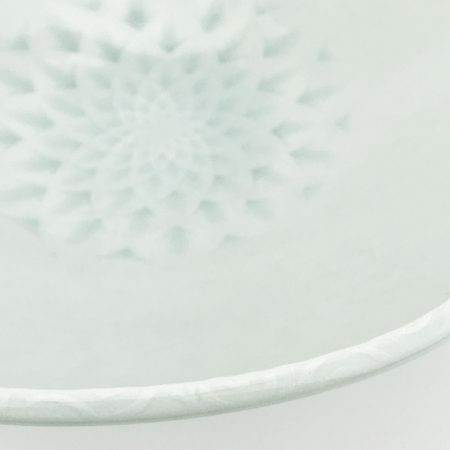 This bowl is marked down because there is a tiny spec in the glaze.